Remember when you said, “There’s no way I’m getting the freshman 15.” Ha, cute. Rather than sweaty bars and bass-banging clubs, the social hotspots for University of Maryland students include the local dives and diners. If you’re a UMD Terp, you know that Blaze is a right of passage and that you’ll find the best iced chai tea lattes at The Bagel Place. 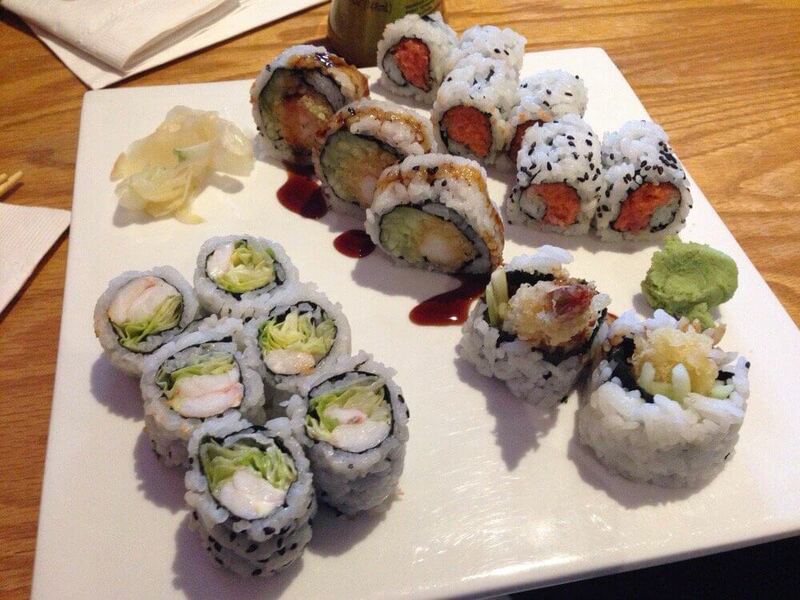 Appearance is temporary, food is forever. Treat yo self at the 10 restaurants in College Park that will make your mouth water. “The food is great and the atmosphere has a really cool kind of old school vibe,” said UMD freshman Kristina Elliot. This spot got its name after the American poet, Langston Hughes, who worked as a busboy in the 1920s. 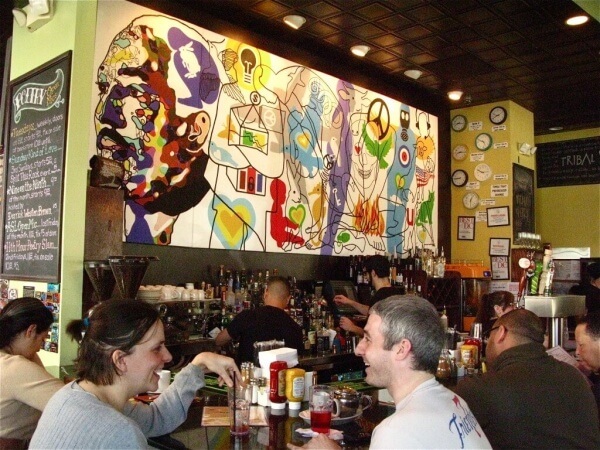 Busboys and Poets is not only known for its unique menu, but also it’s dedication to the arts. An entire section of the restaurant showcases bookshelves stacked with literature. The décor mixes traditional tables and couches so you can either enjoy a formal dinner or a casual cappuccino. 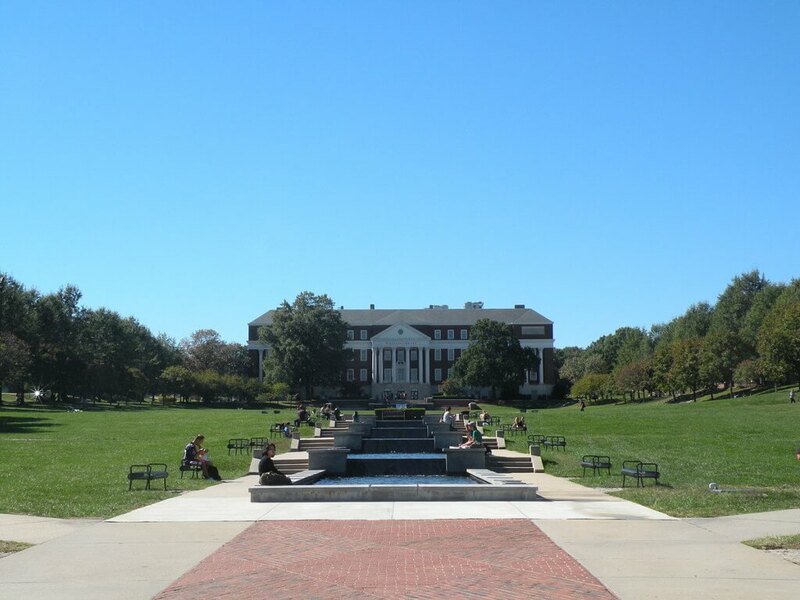 “The atmosphere is awesome, the food is great, and it’s just a really cute place,” UMD freshman Hannah Borison said. The employees of Busboys and Poets consider their establishment a “community gathering place,” holding special events like poetry nights and art shows throughout the month. President Obama even stopped by a few weeks ago to eat lunch with formerly incarcerated individuals to discuss new grants of commutation. It’s great if you want to feel intellectually refreshed, while also enjoying a delicious meal. Imagine the convenience of Chipotle. Now imagine the same concept— but for pizza. 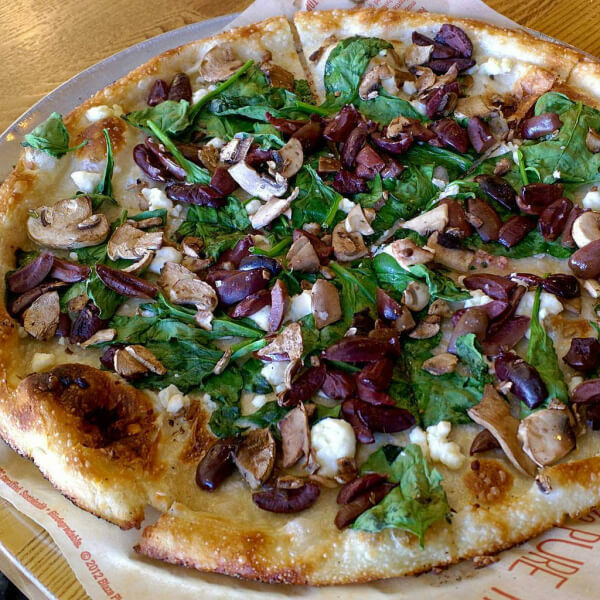 Blaze offers a menu full of tantalizing topping combinations to try, but everyone knows the “build-your-own” option is the way to go. Watch as they make your personal pizza right in front of your eyes. “When I’m down at Route 1, Blaze is the spot to hit. The pizza is fresh, tasty and quickly made,” said UMD freshman, Mitch Cooney. “My go-to pizza…is a build your own meat lovers with spicy sauce and BBQ.” You can be as creative or as simple as you want–either way you’re left with a deliciously customized pizza all to yourself. Call us #basic, but UMD students get serious about Chipotle. To prove it, show up to the College Park location at any time of day to see a line overflowing outside the door. Still not convinced? Rumor has it the College Park Chipotle is the busiest Chipotle in the nation. The nation. 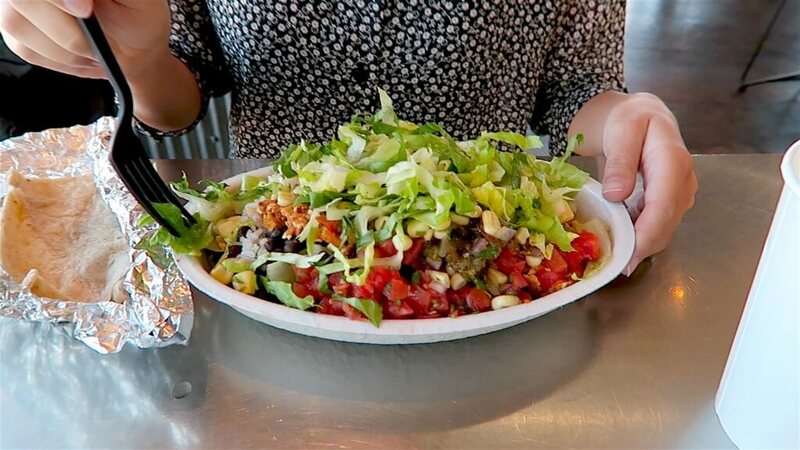 “Chipotle by itself is the best Mexican fast food restaurant I’ve ever been to…they did what Subway was trying to do, but with good food,” said UMD freshman Hugh McFarland. Also, did I mention they deliver? Thx Envoy. At the University of Maryland, Chipotle is always the move. Although technically located in Hyatsville, Vigilante is still a UMD student fave. 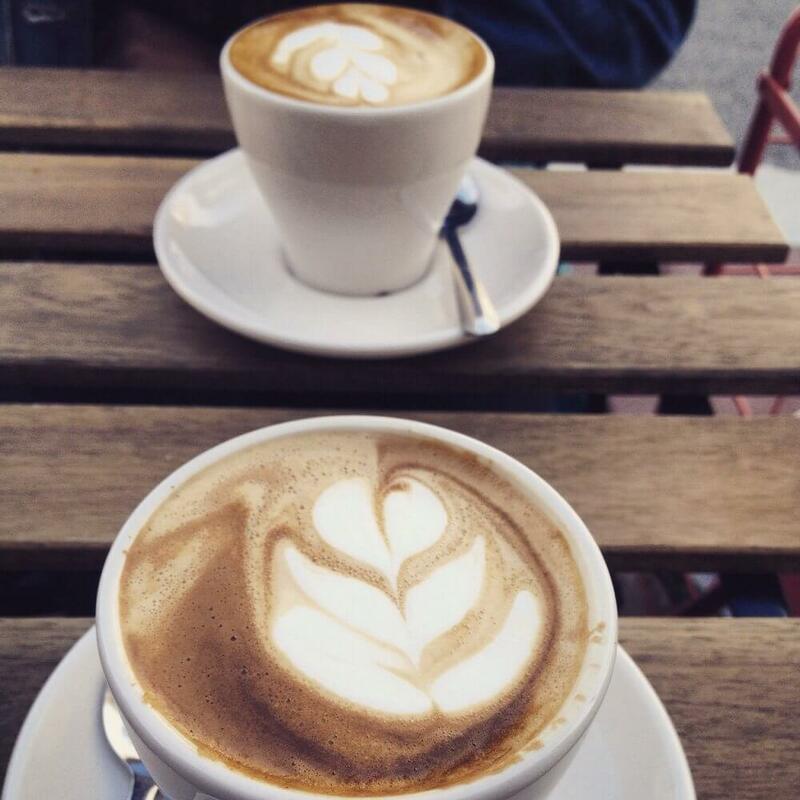 It’s the quintessential coffee shop, with hipster vibes and superb coffee. They serve fresh baked goods and acai bowls, which taste great and look great on your Snapchat story. “Vigilante coffee is my favorite place to study in [College Park]! The baristas are incredibly friendly, the coffee incomparable, and the atmosphere chill and suitable for hanging out with friends, studying or just relaxing,” said UMD junior Sophia Khan. It’s also the most Instrammable place to eat in College Park, so get your #vsco ready. Inhale, exhale…there’s no need to feel afraid of salads. In fact, you’ll never view a salad as “just a salad” ever again after eating at Sweetgreen. They take pride in their local, farm-fresh food to create tasty and creative salads that actually do fill your stomach. The Harvest Bowl combines apples, kale, grains, sweet potatoes, almond slices, goat cheese and chicken, topped off with a creamy balsamic dressing. 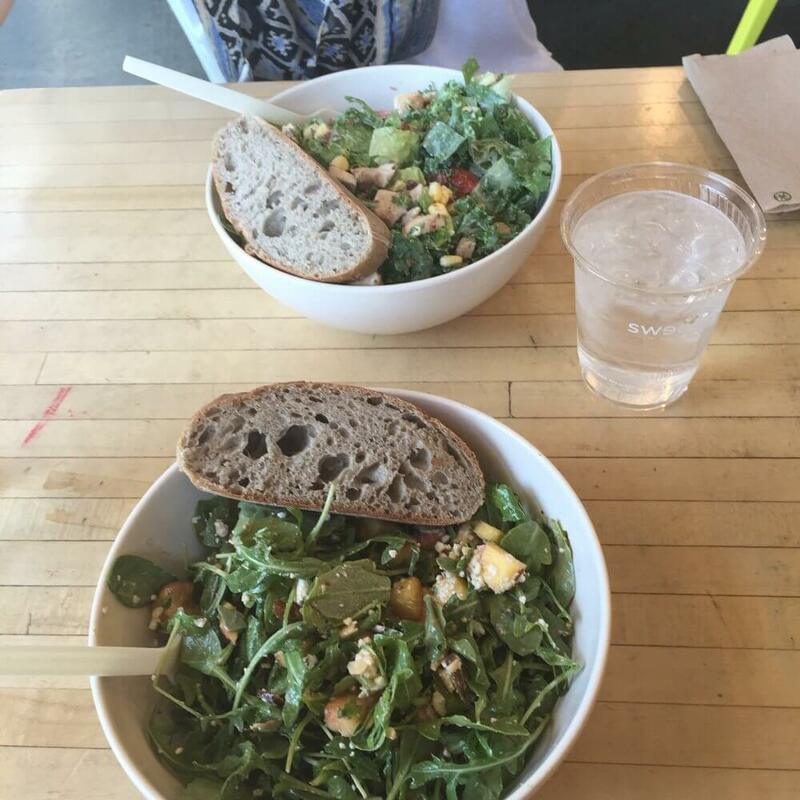 “[Sweetgreen] just really steps up the salad game and brings it to a whole new level. It makes healthy eating very accessible for people who are too lazy to make their own salads…It’s my place,” UMD freshman Bailey Koike-Leinen said. Also, Sweetgreen is conveniently located right under the Varsity, which is key for athlete spottings. Jake Layman, where you at? Created by Food Network star, Bobby Flay, Bobby’s Burger Palace will satisfy all your burger cravings. “I really like the atmosphere,” said UMD freshman, Jared Goldstein. “When you order your food, you get a number and they bring it to you. That’s a unique service that you don’t get elsewhere.” Each burger on the menu is named after a different city or state, incorporating classic toppings from each area, like avocado, coleslaw, blue cheese or a fried egg. 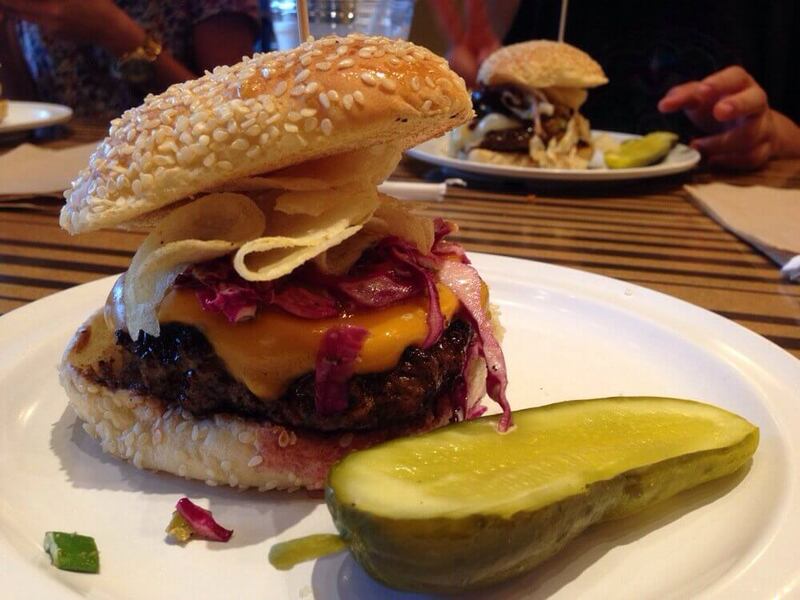 The most famous, though, is the copyrighted CRUNCHBURGER, an American cheeseburger topped with crushed potato chips. “The burgers are just good–the beef is good, [and] they cook it well,” said Goldstein. Even though your arteries may suffer, it’s 100 percent worth the risk. 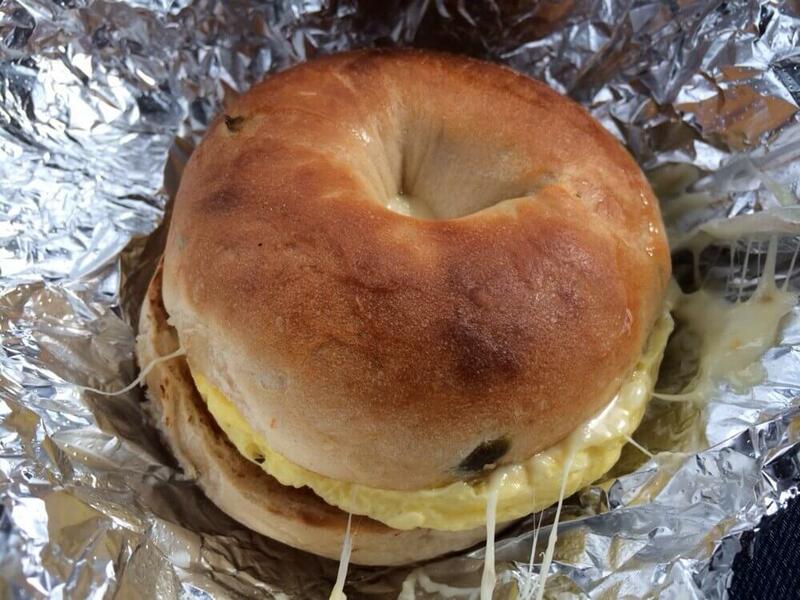 Picture a toasty bagel topped with a fresh egg, savory bacon and melted cheese…is your stomach growling yet? Bagel Place makes the perfect weekend morning, post-hangover breakfast. You can enjoy a classic bagel with cream cheese or choose from their variety of bagel creations. “The Pride of Baltimore is so good,” UMD freshman Ariana Donaldson said. “They have everything smushed onto one bagel and like…it’s just delicious.” The awesomeness clearly leaves Terps at a loss for words. They also offer a full-service espresso bar. From macchiatos, to cappuccinos, to iced chai lattes, Bagel Place will most definitely replace your Starbucks addiction. Okay, I guess technically Insomnia Cookies doesn’t count as a restaurant, but it’s a place to eat, right? 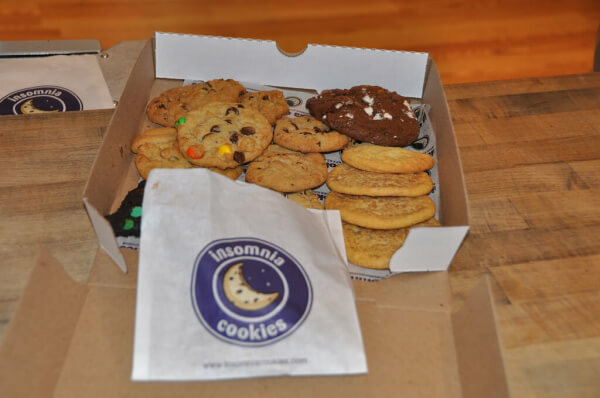 The ability to eat fresh-baked cookies delivered to your dorm at any time of day or night (hello finals) is one of College Park’s most prized qualities. From s’mores to the classic sugar cookie, every stress of college disappears with each warm bite. “My favorite cookie is the double chocolate chunk,” UMD freshman Jordy Blenden said. “I love how they are soft and warm, and you can order them whenever you want.” Located across the street from the bar scene, (Nice move, Insomnia) it’s the perfect snack to hit the spot after a night out. I don’t know what it is, but something about square pizza makes it taste so much better. 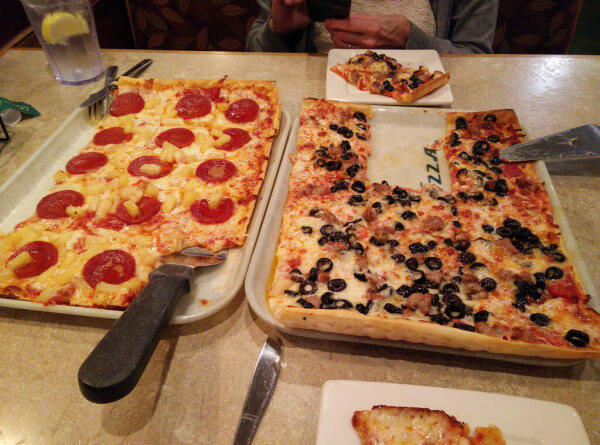 A Maryland favorite, Ledo’s Pizza’s first location opened in College Park. If you want a nice, sit-down dinner that will impress your girlfriend a little more than Adele’s, Ledo’s makes the perfect spot. They’s known not only for their original pizza shape, but also for their sweet, homemade marinara sauce. “I love Ledo’s because I can eat an entire medium white pizza by myself and not be judged,” said UMD freshman Stephanie Turner. Once you go square, you never go back.